Let us capture amazing moments that you will love forever. Two photographers to capture natural candid photos and stunning creative memories. 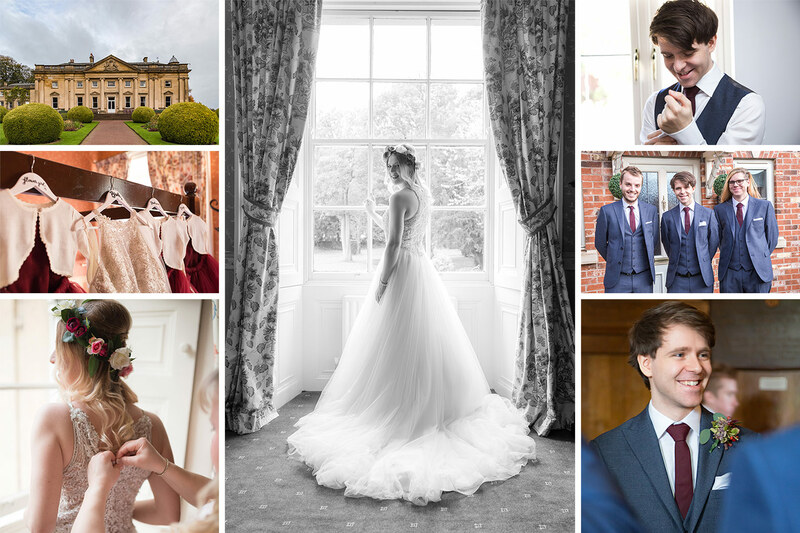 Your story captured in a relaxed, candid and professional style . We have two wedding packages available; if you want us to be there from bridal & groom preparation until (and including) your first dance, our Premium Package is your best choice. If you want just 'the main event' then our Classic Package is a good choice. We meet with the bridal party around 2 hours before the ceremony. Plenty of time to capture the important details; amazing dress, colourful flowers, fantastic shoes, shiny jewellery and you, the beautiful bride. We meet with the groom before the ceremony at your wedding venue, we can meet at a different location if needed (just let us know). Two photographers are very handy during a wedding ceremony! We get two unique shots, some close-up detail shots and reactions of the guests captured by the photographer at the front, and full height shots of the couple from the back. We always speak with registrars, vicars etc pre-ceremony so they are happy for there to be two photographers. Usually this takes about 30 minutes, dependent on the number of guests. Your photographers will take different rolls now; one to arrange guests (find out where great uncle john has vanished to) and the other will take the photos. We take a few of each group to account for guests blinking and not looking! We will provide a template before the day to fill out with the shots you want listed. Now for the photos of you both together! Nobody else! 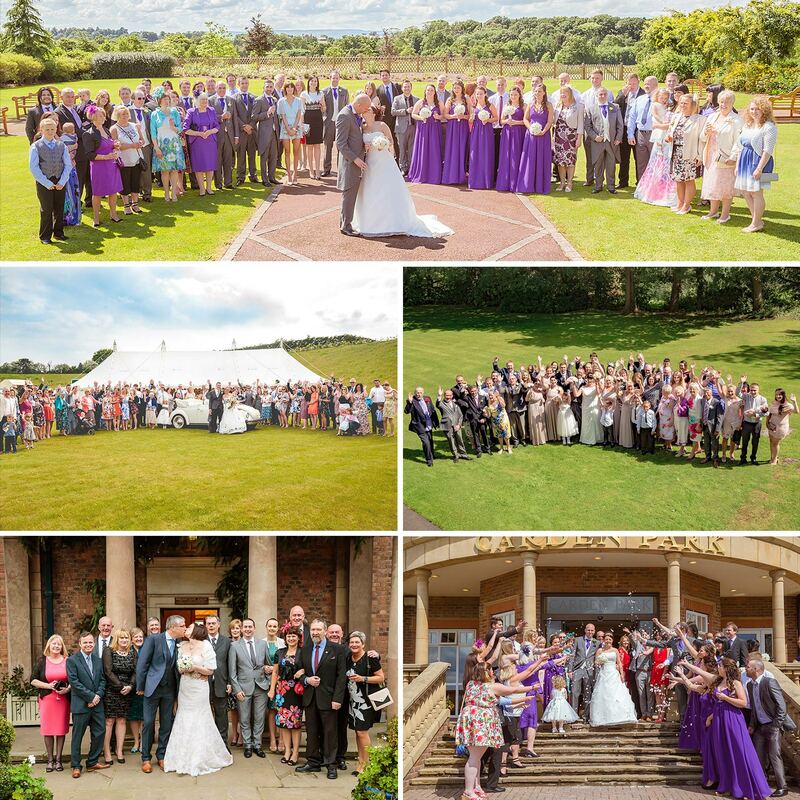 We find a few special spots of your venue to take some stunning photos of you together. Some of our favourite photos are taken in these moments. We don't usually need too much time to take these photos, 20-30 minutes. Capturing those special moments; when dad talks about your lost teddy when you were 8, mum tells everybody how proud she is, and your best man makes a revelation about the stag do - something about an inflatable banana! Whether you have a traditional first dance, group dance with everyone or a planned dance set to the Crazy Frog tune - we love capturing these moments when you get to unwind at the end of the day! When did you take these photos? We take a lot of photos that you'll love to see after your wedding day, candid and fun pictures that you didn't know were taken; the venue, table decorations, seat covers, wedding favours, place cards, children eating lots of sweets, great Uncle John eating lots of sweets, guests and family having a great time, group photos of families - just to name a few. (To the Batcave!) To the studio! After your wedding we backup all of the photos from your day to our computers. We copy everything to two separate drives and also store the memory cards from the cameras in a different location. everything is backed up 'in the cloud' for additional piece-of-mind which usually takes a few days (we take lots of photos!). Your photos will be catalogued and edited within 4-6 weeks. Once edited we will send links to our website where you can view your photos before you receive your memory stick. Let us know if you would like any of the photos tweaking before you get your memory stick. Once you have your photos, we will post some of our favourites to our website/facebook/social media sites. If you want to see some before you get your memory stick we can post some to website/facebook/social media sites first. Most couples book their wedding photography 1-2 years in advanced - every wedding is different though - we may be able to fit you in if your wedding is sooner. 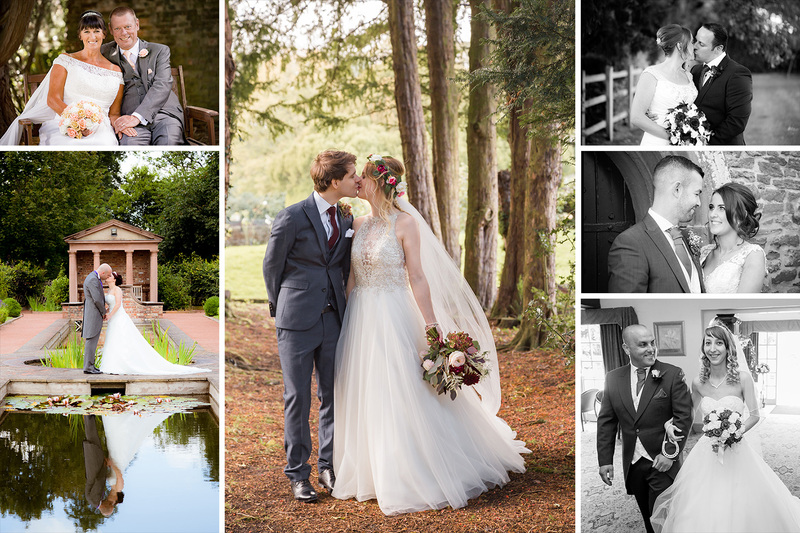 We aim to shoot approximately fifteen weddings yearly and we try to not book them back-to-back, we only have limited availability so book today! Click Here to fill out our booking form, this is the best way to contact us. Call our studio on 01606 41106, you can leave a message if we aren’t available and we will call you back asap. Email Steve anytime! stephen@morethanlook.com you should get a reply within 24hrs. Pop into our studio! We are in Northwich’s town centre, give us a call or an email to arrange an appointment. We can come to you if it is more convenient. 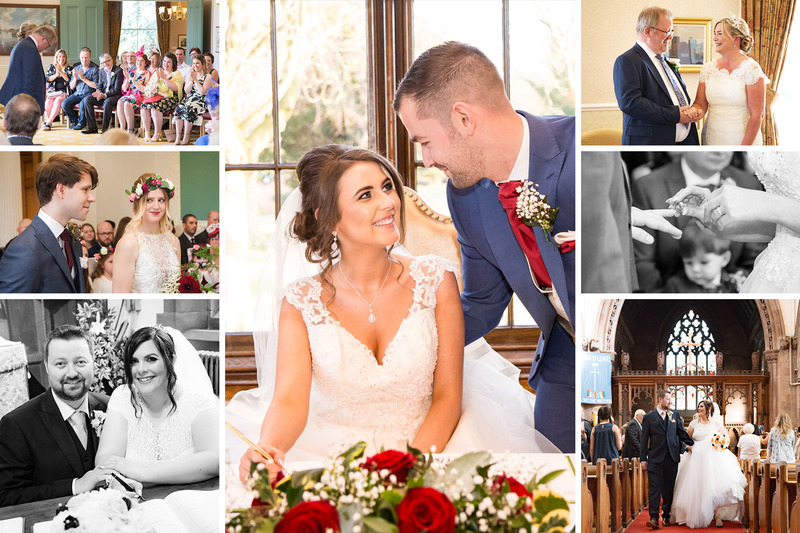 Please note we will need you to fill out our booking form even if we have spoken with you directly as it has essential information needed for us to shoot your wedding (we can fill the form out with you at a later date).